Welcome to the Windy City, home to Chicago-style hot dogs, deep dish pizza, and World Series champions. What tourists coming from around the world might not know, though, is that Chicago has a spooky side. 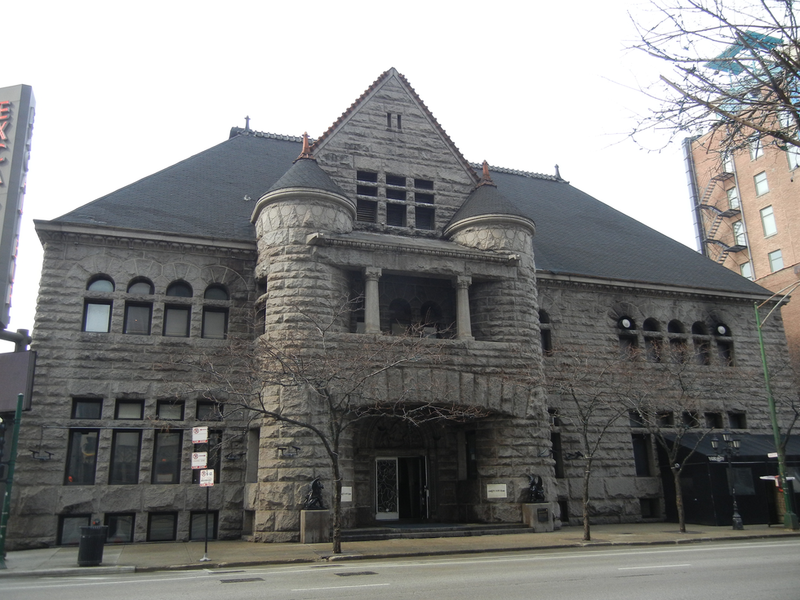 In this article, I will tell you about ten spooky and scary places to visit in Chicago. Grab your ghost hunting gear as we delve into the rich and, albeit, tragically dark history of some of Chicago’s most popular attractions. 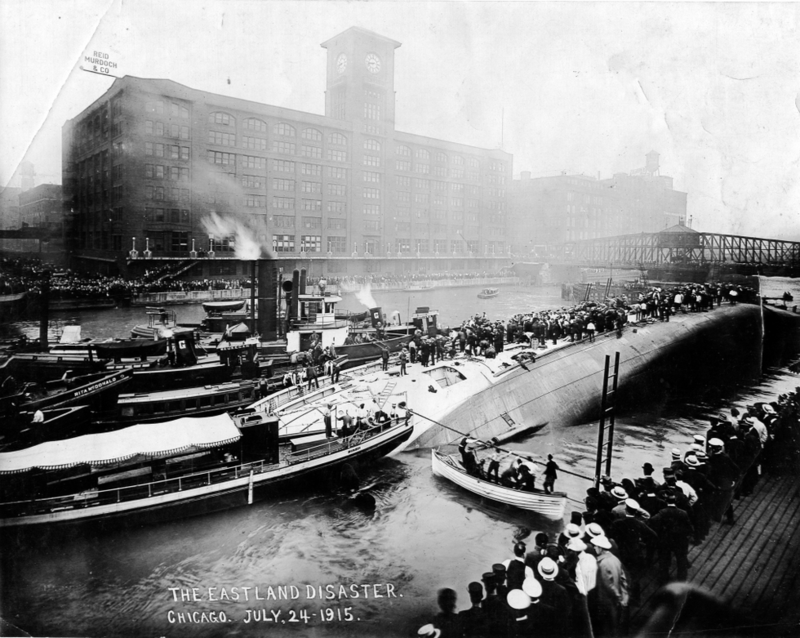 On July 24th, 1915, a steamer called the Eastland capsized in the Chicago River between Clark and LaSalle, leaving its 3,200 passengers in the cold waters. 835 passengers, including twenty-two entire families, drowned in the river, either from being below deck or getting caught in the currents caused by the capsized steamer. Now, a plaque rests on the Clark Street bridge for the victims of the Eastland Disaster. According to urban legend, cries of terror can be heard at night near the river, cries that may belong to those who had died from the tragedy. As a result of the Eastland Disaster, there are two other places that have become haunted. One is called the Excalibur Nightclub. This location is on 632 North Dearborn Avenue, near the Loop. The rumor goes that the nightclub had been used as a makeshift morgue for the 635 victims of the Eastland Disaster; though, this hasn’t been completely confirmed. Another legend says that the building might be haunted because the previous building had burned down in the Great Chicago Fire, with three women trapped inside. Employees at the nightclub have reported cold spots in rooms, along with glasses breaking for no reason. They even captured one ghost known as “the Woman in Red” on polaroid camera. 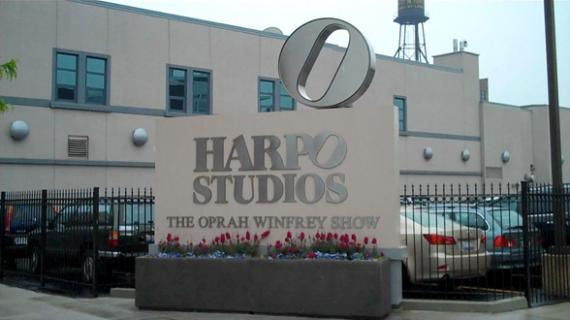 Another building associated with the Eastland Disaster is Harpo Studios, famously known as the recording location of "The Oprah Winfrey Show". Before the days of Oprah, the building also used to be an armory, based near the river. After the Eastland Disaster, the building was used as a morgue and, as a result, has produced few hauntings. The crew from "Oprah" had reported seeing apparitions behind the scenes that may have been lost spirits of the Eastland victims. Harpo Studios is located 113 North May Street. Early in Chicago’s history, Fort Dearborn lay on the edge of the Chicago River. 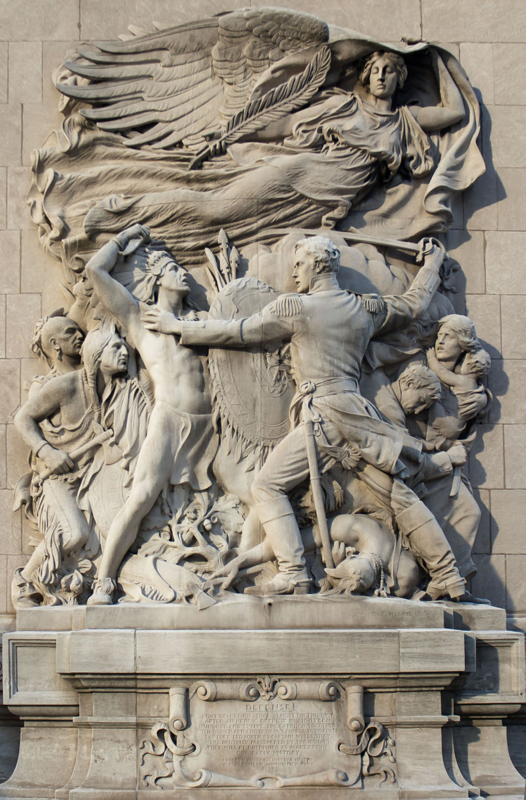 During the War of 1812, the fort came under attack from 500 Potawatomi Native Americans. The battle lasted a total of fifteen minutes and resulted in a victory for the Native Americans, along with the death of thirty-eight military and fourteen civilians. A monument now rests on the site of the old Fort. As far as the hauntings go, the site had been quiet for years; though, during construction in the 80s, bones were unearthed that had belonged to victims of the massacre. Since then, it’s been reported that apparitions have been seen on the site, wearing military and pioneer clothing. In the 1920s, Chicago had become known as the home of the infamous Al “Scarface” Capone. It had also become a victim of the tragic St. Valentine’s Day Massacre. On February 14th, 1929, Al Capone’s men opened fire on seven men who were a part of a rival north side gang. The site is famous for those interested in the history of the old Italian mob. Haunted location enthusiast may be happy to know that locals claim to have heard the sounds of screams and machine gun fire near the site. 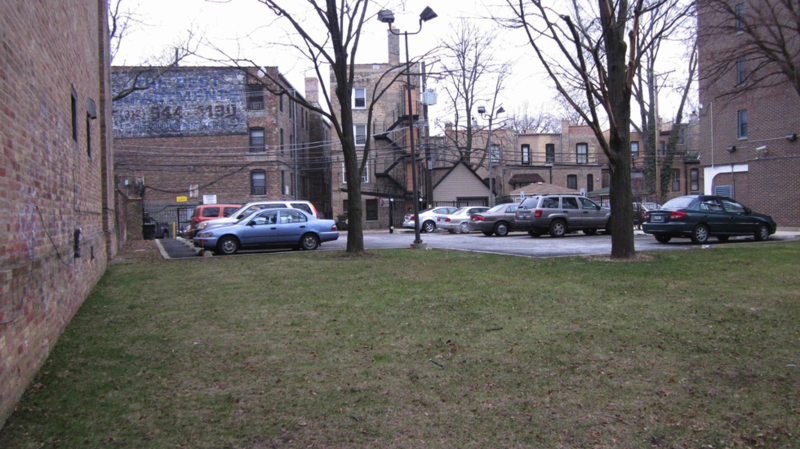 The location of the St. Valentine’s Day Massacre was on 2122 North Clark Street. In the 1900s, buildings had a loose fire code, and things were relatively less safe back then. For example, buildings didn’t have fire exits, and doors opened inward. Improvements to these designs didn’t come about until some awful accident showed these flaws to be dangerous. The Iroquois Theatre, which is now the Oriental Theater, learned about these flaws the hard way. During a production, the theatre which was filled to capacity at the time experienced a fire on-stage. The audience clamored to the exit but became trapped as people pushed against the doors that only could open inward. When firefighters broke into the theatre, they found that nearly six hundred people had been burned alive or trampled on. The theatre was torn down and replaced with what is now the Oriental Theatre. 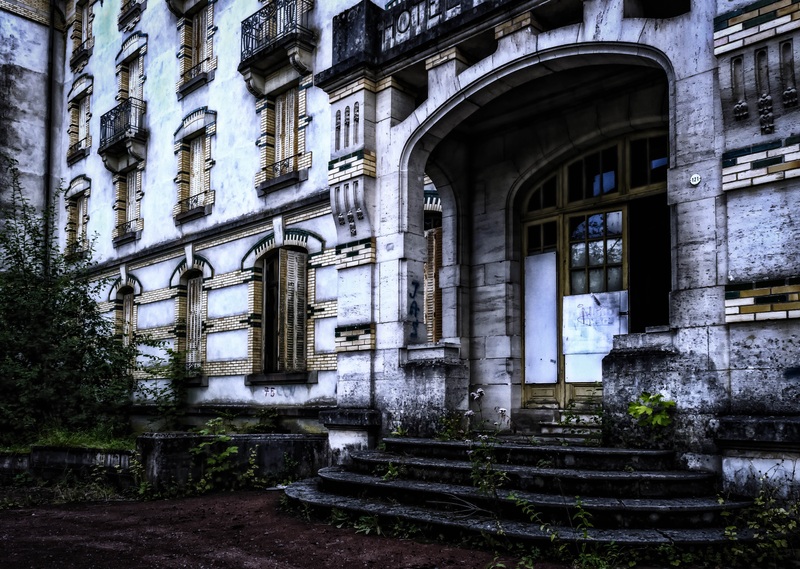 Guests and employees have reported having seen ghouls from people who may have looted the bodies of the victims of the fire as well as shadowy figures and mysterious faces in photographs. 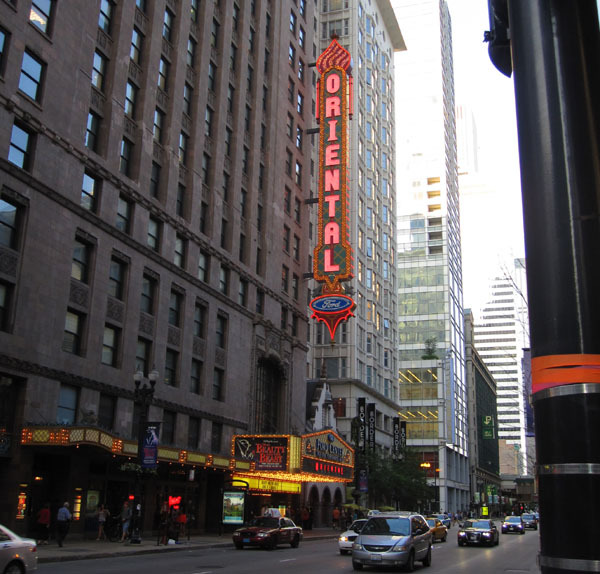 The Oriental Theatre is located at 24 West Randolph Street. Graceland Cemetery isn’t exactly a popular tourist attraction, though some famous people are buried here, including Charles Dickens’ brother who died in the city, penniless. However, the cemetery has an interesting urban legend about the photo above. The photo is a monument for a girl known as Inez Clarke. No one really knows who Inez was; however, the urban legend claims that at age six, she was struck by lightning and killed. 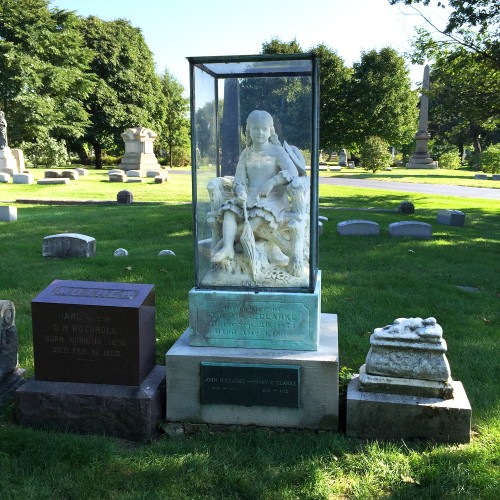 Some people have reported seeing a little girl dressed in clothing from the 1800s running around the cemetery, and guards have even reported that, during thunderstorms, they’ve found the plastic case empty, as if Inez had been scared of the thunderstorm and left to hide somewhere. The cemetery is located at 4001 North Clark Street. 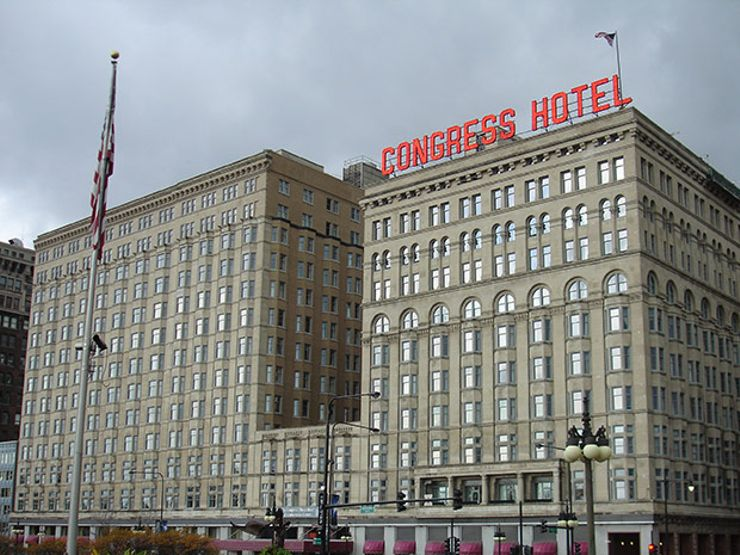 The Congress Hotel, located in Chicago’s South Loop, is listed as one of Chicago’s most haunted hotels. Numerous spirits lurk through the halls, including Al Capone’s. The hotel has had a bloody past including a history of people jumping out of windows to their death and a story of a captain who allegedly shot himself in the hotel. Most of the hauntings can be found on the 12th floor. There even is a room that is completely sealed off because the hauntings were considered too horrible to continue use of the room. Though, Room 441, not the aforementioned closed room, is considered to be the most haunted room of the hotel. Another fun fact is that the hotel inspired Stephen King’s novel “1408.” The hotel is located at 520 South Michigan Avenue. 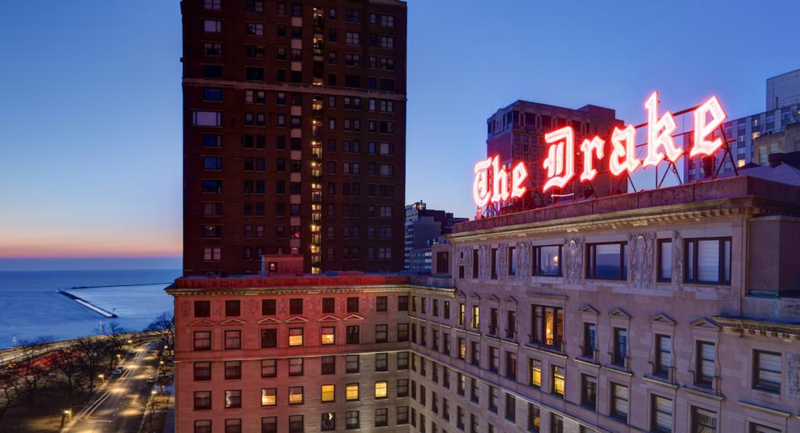 The Drake Hotel might not be as haunted as the Congress Hotel, but it does have its fair share of ghosts. One, in particular, is the woman in red (not to be confused with the one from Excalibur) who, according to legend, had caught her fiance with another woman at a New Year’s Eve party in the 1920s and resultingly threw herself from a window on the 10th floor. Employees have reported seeing the woman in red linger around the 10th floor. The hotel is located on Michigan and Lake Shore Drive. One of the most iconic Chicago landmarks, the Chicago Water Tower also haunted. 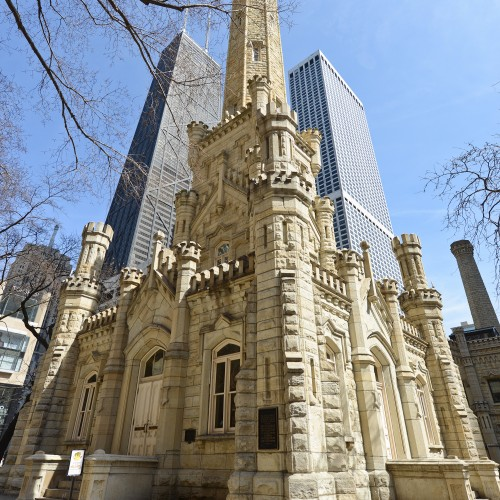 The Chicago Water Tower, one of the last few standing relics pre-Chicago fire, attracts plenty of tourist annually, but it also stands as an attraction to members of the afterlife. One legend is that a shadowy figure of a man hanging can be seen through one of the windows. Not much is known of why this figure can be seen, but it is speculated that the man may have been a victim of the Great Chicago Fire. The Chicago Water Tower is located on 835 North Michigan Avenue.